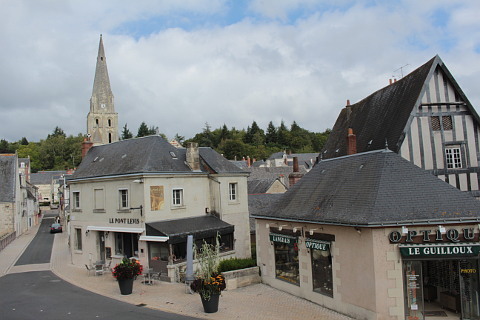 Although the castle is the main reason to visit Langeais there are also some pleasant medieval streets to explore and a number of bars and restaurants with views onto the castle. A walk around the streets should include a visit to the Saint Jean the Baptist church. The origins of the church date back to the fourth century though the present church was built in the 11-15th centuries. 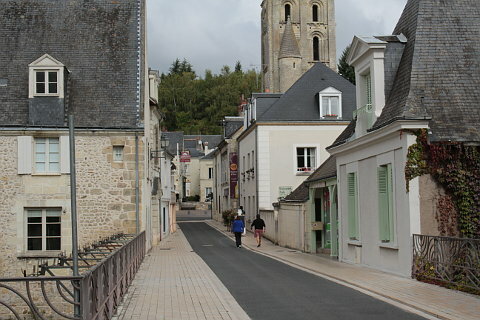 The church was originally founded by Saint Martin in the fourth century and was the first rural church in Tourraine. It forms part of one of the 'Way of Saint Martin pilgrimage routes' , the "Way of the Summer of Saint Martin" which also passes through Chinon, Candes-Saint-Martin and Tours. Inside the work is some pretty stone work with lots of arches and a number of the walls still have the painted patterns that once covered the interiors of churches. 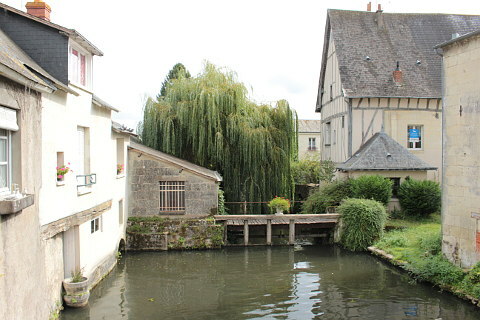 A small canal adds interest to the town and you can see some pretty half-timber houses along its edges. 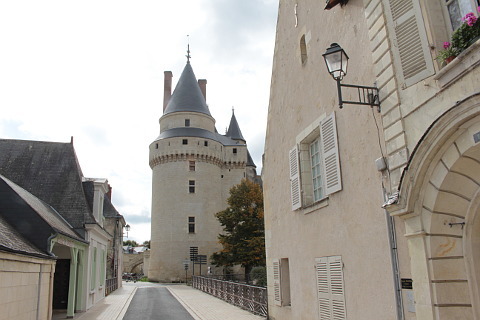 As well as the castle the town boasts an imposing bridge across the river Loire. 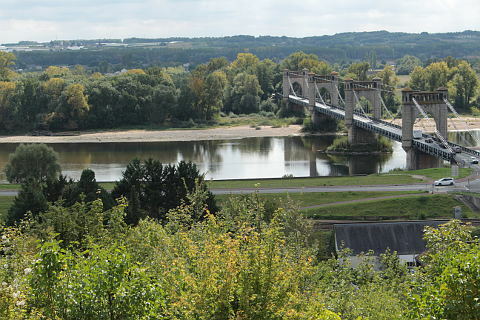 From the castle you can not only get some great views down over the town but there is a belvedere offering good views over the river Loire and the bridge. 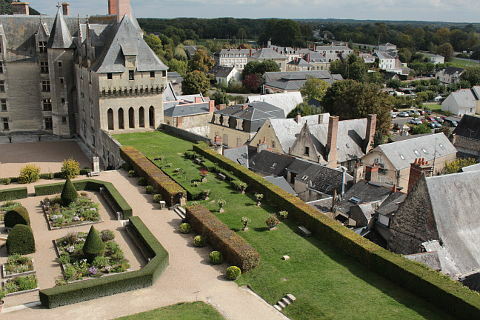 If you do not visit the chateau there are some steep steps behind the church leading to a viewpoint "site pittoresque" over the castle, church and bridge. Market day is Sunday morning and the market takes place in the Place de l'Europe. This is a nice time to visit and see the town at its most animated. 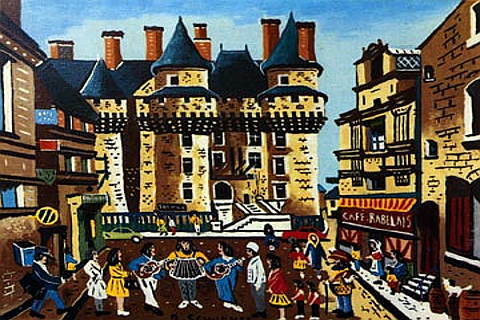 Langeais occupies an important place in French history as the castle was the site of the marriage of Charles VIII of France with Anne of Brittany paving the way for Brittany's union with France. A reconstruction of the marriage can be seen in the castle. Amongst our favourite places to visit in the area are the Chateau de Villandry and the pretty village of Chinon. The Chateau de Villandry is famous around the world for its beautiful decorative vegetable garden. Surrounded by box hedging in elaborate shapes vegetables are planted in colour blocks so that the overall garden is as decorative as a flower garden. 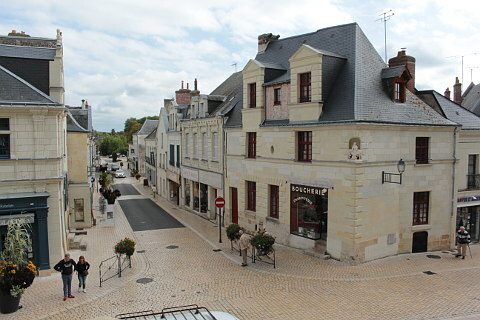 Chinon is a charming small town and an excellent base for exploring the Loire Valley castles. It contains lots of beautiful and interesting buildings as well as a reasonable number of hotels and restaurants. Like Langeais it has a castle in its town centre. The Chateau d'Azay le Rideau is a fine looking chateau rising as it does from the waters of the Indre river. The Chateau de Villandry is home to some fabulous gardens including a huge ornamental vegetable garden. The Chateau d'Azay le Rideau sits surrounded by water on two sides giving it a very romantic appearance. 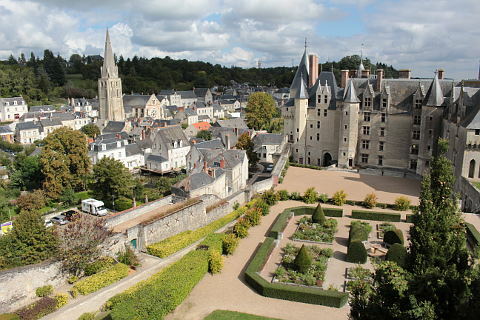 Tours is an attractive city and good base for visiting the chateaux and attractions of the Loire Valley.